Meandering through a swath of downtown Salt Lake City is City Creek Center, a mixed use development featuring a massive amount of pedestrian friendly retail, along with multi-family residential and office buildings situated on top of below-grade parking garages. The heart of the development is the creek itself, which was actually resurrected after many generations of being routed underground through the city. Looking at the space, stout massing rises above the strip of water surrounded by stone sidewalks, it seems a wonderful combination of natural and synthetic. Few would guess, however, that much of the development actually sits on top of a layer of Foam-Control® expanded polystyrene (EPS) geofoam. In fact, there is more than 850,000 cubic feet of geofoam packed below the stores, sidewalks, buildings and parking structures. Almost everywhere a cavity needed to be filled geofoam was used. 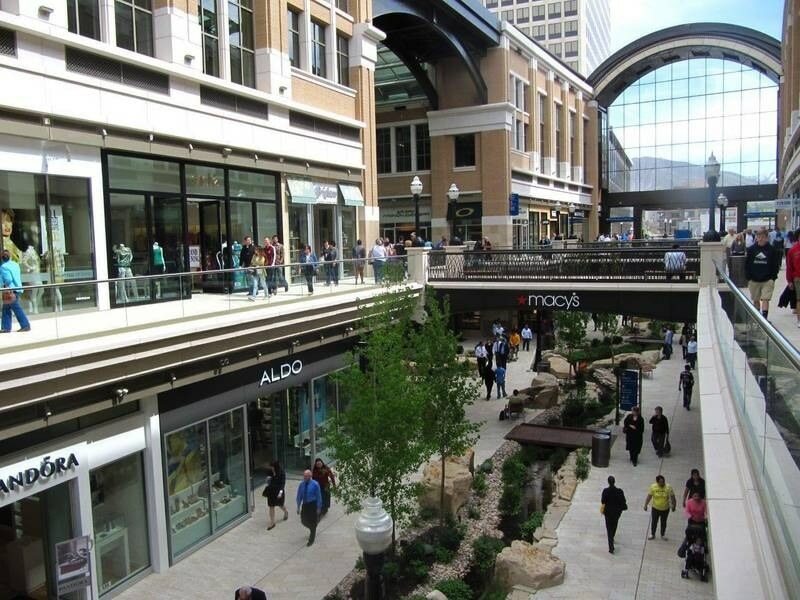 80% of the geofoam on the City Creek Center project was supplied by ACH Foam Technologies (ACH). A key reason for using geofoam was accessibility. With many different building projects going up simultaneously during several years of construction getting large volumes of soil fill in and out of the site wasn't realistic. Lightweight enough to be carried by hand and easily cut, shaped, and assembled on site with hand tools, ACH's Foam-Control EPS Geofoam was an ideal void fill in both permanent and temporary conditions. 560,000 cubic feet of geofoam was used to level floors with sidewalk transitions in the retail stores lining the creek, where the buildings are built on top of below-grade parking structures. 80,000 cubic feet of geofoam was used as backfill along foundation walls to reduce lateral pressure on the structures. The geofoam won't self-compact like soil if it gets rained on during construction. 160,000 cubic feet of geofoam was used to fill parking structure voids below the development so the new creek bed could flow naturally through the property while still providing pedestrians with a level walking surface. Another 30,000 cubic feet of geofoam was used to create temporary construction ramps throughout the project. Due to its high compressive strength, geofoam ramps can support the weight of foot traffic and even large equipment with equal ease. Unlike soil, the compressive strength ensures that ramp edges don't compact, providing a level and strong surface.